All the most beautiful spots to Instagram in Iceland on you next vacation. In Cosmopolitan.com's Instagram Itinerary series, editors reveal the best spots around the world to snap for the 'gram. First up: Iceland. It's nearly impossible to take a bad photo in Iceland. In fact, this small island nation is so photogenic, your biggest challenge will probably be deciding exactly which spots will make it on to your Instagram grid. Whether you'd like to explore moss-covered lava fields, walk behind an epic waterfall or discover Reykjavík's thoroughly modern architecture, you have plenty of options to keep you busy for a long weekend getaway or even a multi-week trip. To help you narrow your options, here are the 10 most beautiful locations in Iceland within a three-hour drive of Keflavík International Airport that deserve to make it onto your Instagram feed. The Blue Lagoon is quite possibly the most Instagrammed place in all of Iceland. To escape the selfie sticks, splurge for a suite at the newly-opened Retreat at Blue Lagoon Iceland. Not only will your hotel room have a made-for-Instagram view of the Blue Lagoon and the moss-covered lava fields beyond, you’ll also have access to part of the lagoon restricted to hotel guests and a limited number of day guests only. With only 62 suites, you’ll surely have it all to yourself at one point or another. 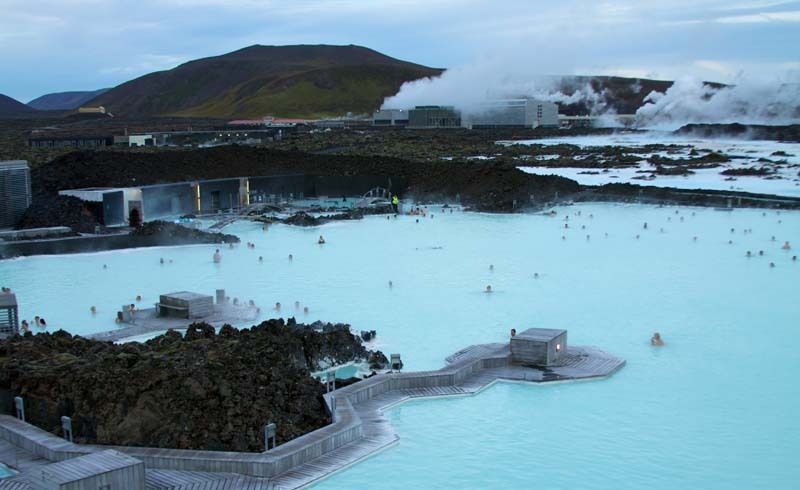 Although cell phones aren’t allowed in this part of the Blue Lagoon, staff members will take photos and e-mail them to you later if you want a picture of yourself surrounded by the prettiest blue water you’ll ever see. It’s hard to pick which view of Reykjavík's iconic church to post. If your Insta-aesthetic is monochrome and minimalist, go for the shot of the unique exterior, inspired by the basalt columns near Svartifoss waterfall. Into colorful landscapes? Pay the $10 entrance fee to get the panoramic view of the city’s brightly-colored rooftops from the top of the church. The interiors of this café in central Reykjavík are charming enough to take a photo of, but the most popular thing to Instagram here, by far, is the Bergsson Brunch, a filling platter of yogurt with muesli, a soft-boiled egg, prosciutto, cheese, bacon, fresh fruit, sourdough bread, and baked beans. Arrive hungry. For a truly unique experience, go snorkeling in the Silfra fissure. This is the point where the North American and Eurasian tectonic plates meet and the only place in the world where you can snorkel — or dive, if you're qualified — in the fissure between two tectonic plates. Due to the way the water is filtered through porous lava, the water here is particularly clear, making it ideal for taking underwater photos. Instagrammers can't seem to stop taking photos of this lonely white house in this small fishing village underneath Mt. Stapafell. Nearly every other photo under the hashtag #Arnarstapi features it, and it's easy to see why. The isolated house, dwarfed by the epic scenery behind it, sums up just how grand Iceland's landscape can be. What's believed to be Iceland's most photographed mountain is also on the Snæfellsnes peninsula, so make your way past it to take in this view while you're out there. Aim to get the Kirkjufellsfoss waterfall in your shot, too. Reykjavik's concert hall, which opened in 2011, isn't just a great location to listen to live music, it's also worth photographing to capture its geometric glass facade inspired by basalt columns. It may not be the biggest waterfall in Iceland, but Seljalandsfoss is certainly one of the most photogenic. You can get your shot while walking behind it (bring a rain jacket! ), but if you're lucky, you can capture a rainbow reflecting off the water while standing it front of it. Just another 20 minutes down the road you'll come across the small fishing village of Vik, which is famous for its volcanic black sand beaches. 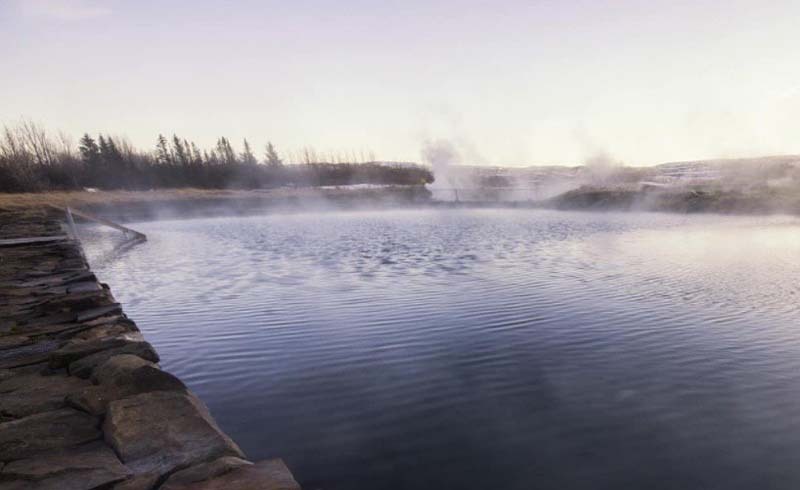 While it's way too cold to go swimming, the stunning scenery still makes it worth a visit. Game of Thrones fans also might recognize this beach as the one Jon Snow arrives at when visiting Eastwatch-by-the-Sea in Season 7. Located just off the Ring Road on Iceland's south coast, Skógafoss is one of the largest waterfalls in the country. The shot to get here is yourself in front of the nearly 200-foot-tall veil of water behind you. One tip? Bring a brightly-colored raincoat so it's easier to spot you.